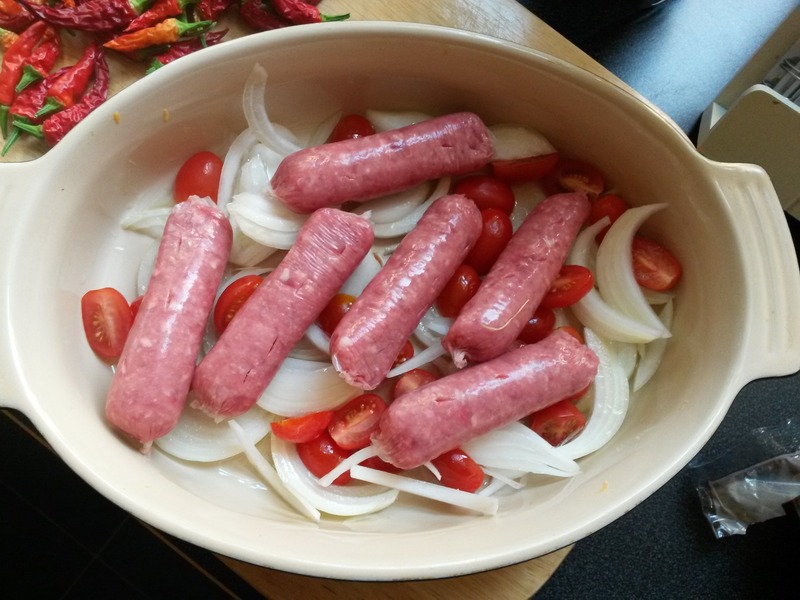 How I make bangers and mash February 25, 2014 Posted in Meat , Recipes Tagged bangers , gravy , mash , mashed potato , onion , pork , red onion , redcurrant jelly , sausage 6 Comments It’s only taken me a couple of years, but finally bangers and mash makes an appearance on my blog.... 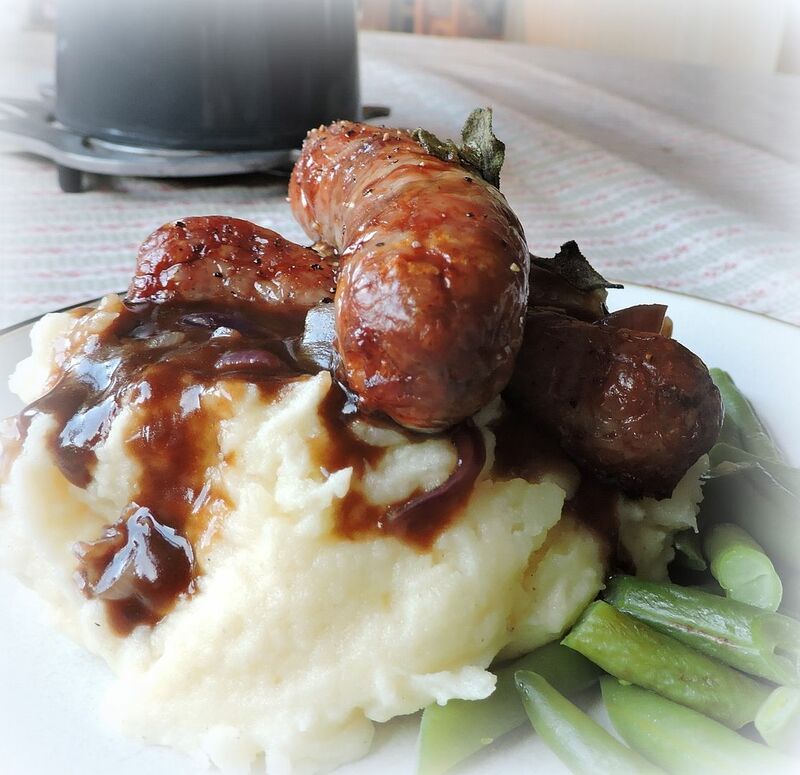 This simple recipe uses a microwave oven to make the swede mash and mashed potatoes and a mini oven to oven bake sausages. 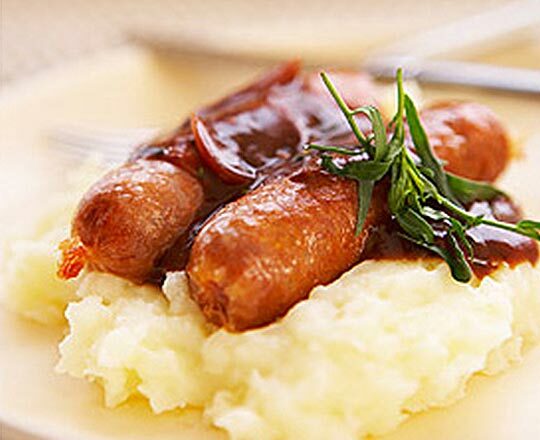 I love bangers and mash (sausages with mashed potato), but it’s a pricey dish if you order it in a pub, with prices often being close to £8-10, what a rip off. Preheat the oven to 200°C. Boil 400 g baby potatoes until tender, then drain. Place on a large baking tray, then squash slightly with the back of a fork to split.... Put the bangers in blankets on the lined baking sheet. Put the baking sheet in the oven and bake the ‘Bangers in Blankets’ for 30 minutes until totally cooked through and dark in colour. 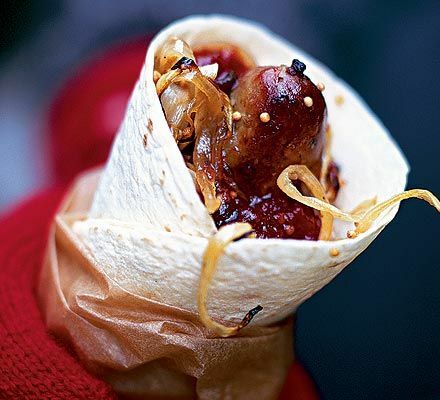 No problem: whack the bread on the barbeque along with the bangers and burgers. It's a low-fuss way of making pita-style flatbreads, plus it's guaranteed to impress your guests who turned up expecting store-bought plastic-wrapped hot dog buns.